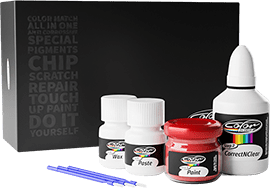 Never pay for costly paint repairs again, do the job anywhere anytime you want. Protect your car paint from bird drops, scratches, stone chips, iron powder and UV. We have come along way in recent years on modern car stone chip and scratch touch up chemistry. Our finest new generation professional touch up formulations delivers stunning results without the need of costly body shop. 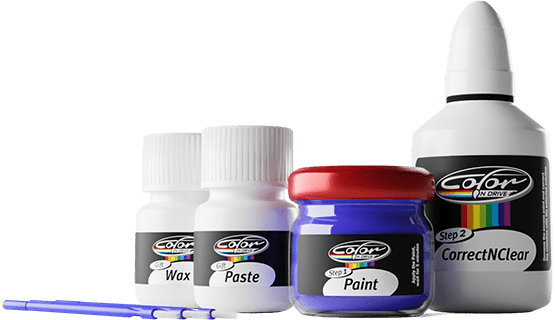 Color N Drive ceramic paint protection kit is a do it yourself nano bionic kit that provides simple and practical application steps, you do not need any expertize nor professional help to gain a clean and shiny car. Worked incredibly well! Perfect color match, super easy to apply, and the blending solution works like magic! Touch up paint usually looks like garbage, but this matched, leveled, and blended perfectly. Great product. Color matched perfectly. Instructions on web site on how to find exact color number from vehicle were excellent. Was able to touch up several scratches. Dried quick enough to apply second coat after only waiting about 10 minutes. Will buy this again if I ever need a touch up kit for another vehicle. Can't see any demarcation between the original paint and the repair paint from 2 feet away. Make sure you thoroughly shake the paint before using it. Very good. 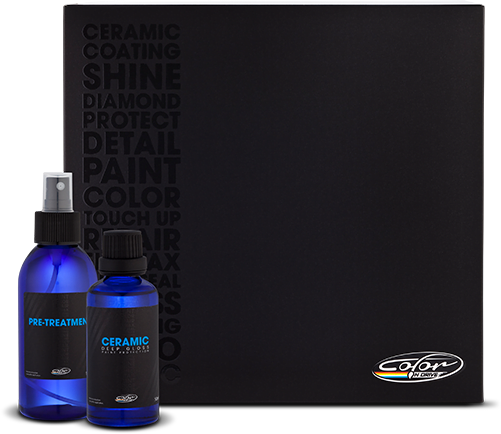 I am using this product not only for my car but for many things in my home: chromed parts or silver pieces that usually becames dark. With this product doesn't became dark anymore. My only complain is that the information how to use should be more complete. It is very poor. The vídeo instruction in the website is totally crazy, non sense. This product is amazing. It was easier than waxing a car. The prep with the clay bar was harder than applying this product. One bottle was enough to do my Jeep and Tahoe and they both came out amazing. I researched many different products and found this one to last the longest, up to 5 years. The car looks great and very happy with this product. Ordered other box for the others cars we own. 9H Ceramic Coating Provides perfect paint protection and great look.